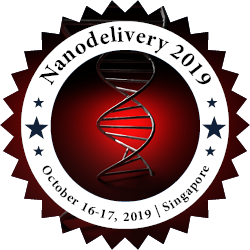 Nanoparticle technology was recently shown to hold great promise for drug delivery applications in nanomedicine due to its beneficial properties, such as better encapsulation, bioavailability, control release, and lower toxic effect. Despite the great progress in nanomedicine, there remain many limitations for clinical applications on nanocarriers.Synthesizing nanoparticles for pharmaceutical purposes such as drug preparation can be done in two methods. Bottom up process such as pyrolysis, inert gas condensation, solvothermal reaction, sol-gel fabrication and structured media in which hydrophobic compound such as liposomes are used as bases to mount the drug. Top down process such as attrition / milling in which the drug is chiseled down to form a nanoparticle.To overcome these limitations, advanced nanoparticles for drug delivery have been developed to enable the spatially and temporally controlled release of drugs in response to specific stimuli at disease sites. Furthermore, the controlled self-assembly of organic and inorganic materials may enable their use in theranostic applications. This review presents an overview of a recent advanced nanoparticulate system that can be used as a potential drug delivery carrier and focuses on the potential applications of nanoparticles in various biomedical fields for human health care. A novel process for synthesis of polymericnanoparticles for use in drug delivery applicationsusing the electrospraying technique. The technologyis standardized for synthesis of natural polymer based nanoparticles such as chitosan-gelatin based nanoparticles.